Mining giant Adani want to build the world's biggest new coal mine in central Queensland. Adani's monstrous Carmichael mine will turbocharge climate change and cause irreversible damage to groundwater and the Great Barrier Reef. The worst part? Our politicians are rolling out the welcome mat for this fundamentally corrupt company. This is the moment where we will force Prime Minister Turnbull and Queensland Premier Palaszczuk to decide — are they on the side of everyday Australians? Or on the side of a dangerous, cheating company and their rotten coal mine? The Adani coal mine is risky, reckless, and deeply unpopular. Building this mine would be nothing short of a disaster. 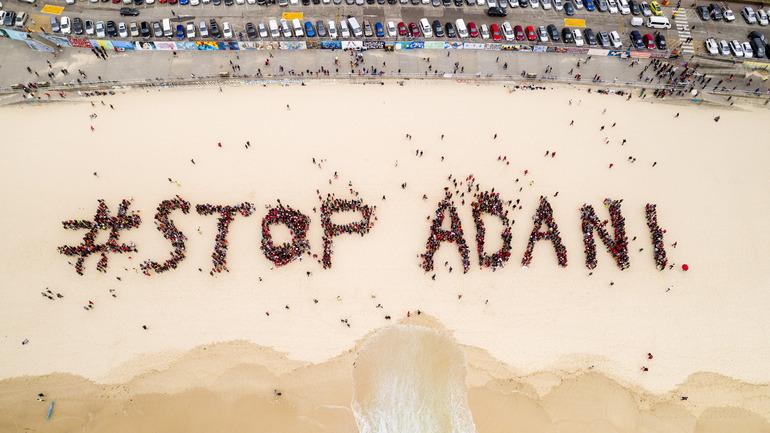 There are so many reasons to reject it — from the millions of tonnes of pollution the mine will spew out every year, to the coal it plans to ship through our Great Barrier Reef, to Adani's awful environmental track record and dodgy overseas business practices. To the Prime Minister and Premier of Queensland, don't let this disastrous coal mine go ahead.